Deanah McLeod is the assistant vice president for development and alumni relations in the SEAS Office of Development and Alumni Relations. In this role she develops strategic initiatives for the school’s Development team and works closely with SEAS alumni nationally to engage them with philanthropic and volunteer initiatives throughout SEAS. Deanah’s development background includes individual fundraising; corporate, foundation, and government relations; and sponsored research. She has worked in diverse sectors including higher education, youth development, and social service organizations. Deanah received a dual concentration M.B.A in marketing management and international business, as well as a Bachelor of Arts in communications with a minor in Spanish from Pace University. She is motivated by a deep-seated desire to enhance access to quality education for all students. In her current role, Buthaina Shukri works with alumni in the DC Metro area, the West Coast, and the Southwest interested in supporting philanthropic initiatives to support SEAS. Buthaina has an extensive career in higher education spanning leadership positions in career services, marketing, alumni relations, and development. 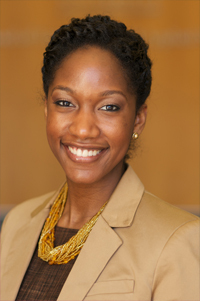 Before joining the SEAS Development team, she was the SEAS alumni relations officer (2012-2015), and before that the director of the GW Career Center's employer partnerships team (2007-2012). Buthaina spent 11 years at the University of Baltimore as the director of its career center and later as the law school's publications manager. Buthaina received a Bachelor of Arts degree in Spanish and English from Union College, a Master of Education degree in counseling from Boston University, and a Master of Science degree in applied psychology from the University of Baltimore. 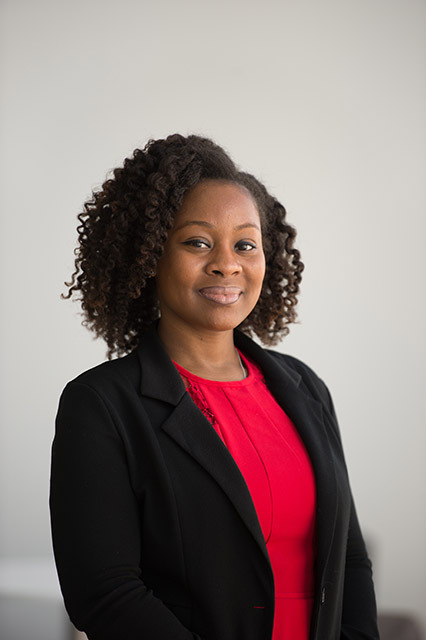 As associate director of development, Durriyyah Jackson manages a portfolio of major-gift prospects and serves as liaison to the SEAS National Advisory Council. In this role, she engages SEAS alumni in the Washington, D.C. area to facilitate volunteer engagement as well as cultivate philanthropic support for the school’s priorities. 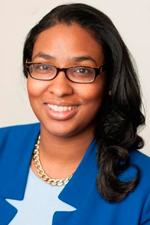 Durriyyah joined SEAS in 2011 and is a proud native Washingtonian. She received her Bachelor of Arts degree in German Language and Literature from GW and is a certified project management professional. Carolynn Lodge is the assistant director of donor relations for SEAS. Carolynn coordinates events, liaises with the SEAS National Advisory Council, and oversees data projects that help SEAS thoughtfully engage the SEAS alumni community. Before joining SEAS, Carolynn worked for GW as an administrative associate with the Planned Giving Department. 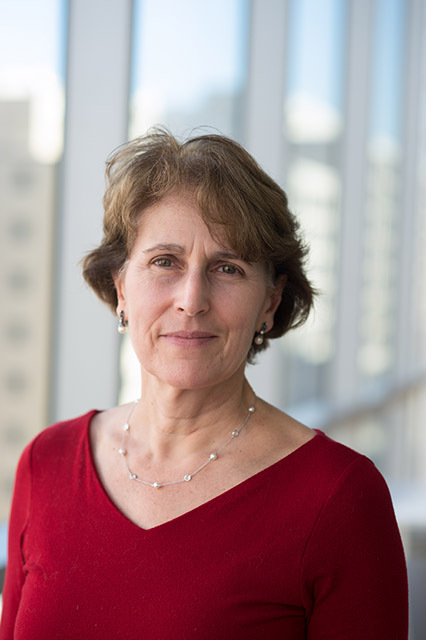 Prior to that, she worked at Johns Hopkins University in a variety of roles, including as both a budget assistant and administrative secretary for the Department of Epidemiology, and as an administrative coordinator in the Whiting School of Engineering’s dean’s office. Carolynn holds a Bachelor of Arts degree from Bowie State University in English and modern languages, with a concentration in African-American literature, and a Master of Arts degree in professional writing from Towson University.